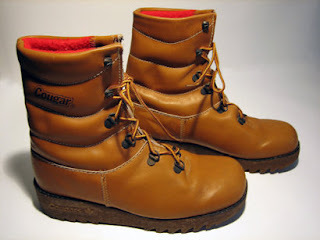 I had a pair of winter boots like these, even the same brand name. 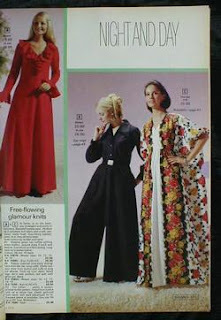 They were big and clunky but they were in style! I don't remember if we actually had one of these or if I wanted one. I do remember the wall at Kentucky Fried Chicken lined off with these plastic banks. Kentucky Fried Chicken was a treat at our house, we only had it in the summer when we were on holidays or if it was someone's birthday. 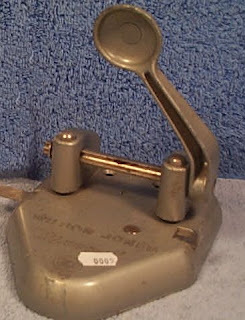 Probably an odd thing to remember from my childhood, but my father had a hole punch just like this in the top drawer of his filing cabinet. We'd play office or school and use it. 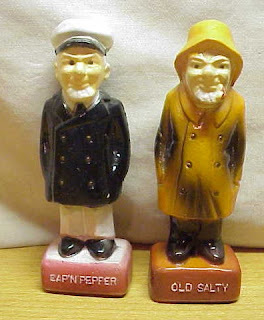 Captain Pepper and Old Salty, a set of salt & pepper shakers in my mother's collection. One of the better books I read in high school. 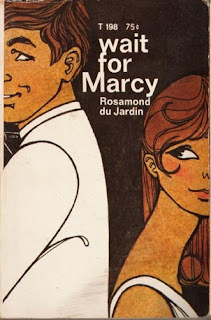 Another book that I don't remember reading but I saw in my older sister's bookshelf. Look at the price, only 75¢. You can't get a newspaper for that price these days. My aunt (who lived next door) made cakes of all kinds. Growing up we always had a special cake for our birthday. She also made wedding cakes. When her daughter got married each bridesmaid had a cake that looked like her in front of them at the head table. 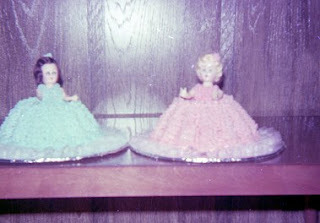 The pans and doll bodies are for sale on eBay, I'm showing a photo from the 70's to show the cakes my aunt made (my 2 older sisters were bridesmaids at my cousin's wedding, these are their cakes). I think all of my sisters and I got one of these when we graduated from high school. 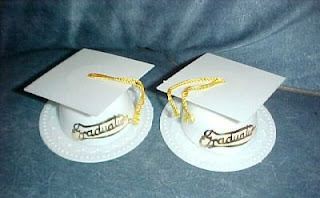 A little grad hat that could hold trinkets. 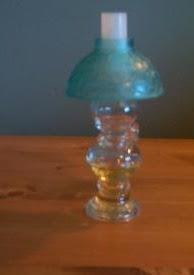 My sister's boyfriend gave her this when she was in university (and I was in junior high school). I wanted one just like it! 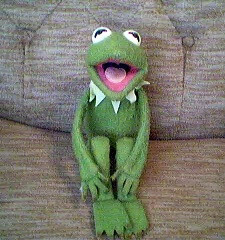 There was velcro on his feet and hands so you could pose him. I remember seeing this in the bathroom cupboard although I don't remember anyone ever using the perfume. 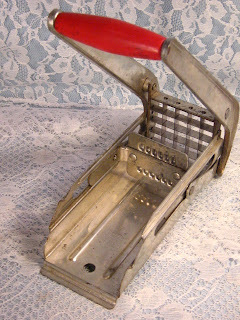 My mother had a french fry cutter just like this one, she used it for making french fries and also for cutting up beets when she would bottle them (which I hated by the way). 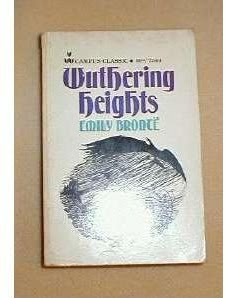 There must be hundreds of editions of Wuthering Heights, this is the copy my sister owned. I read it when I was in high school but I don't remember anything about it. Another unique set of salt & pepper shakes from Mom's collection. 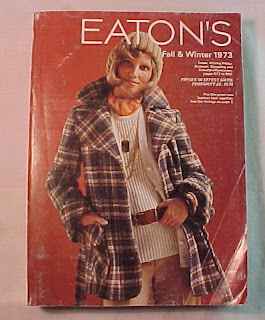 I get a kick looking at the fashions from the 70's. 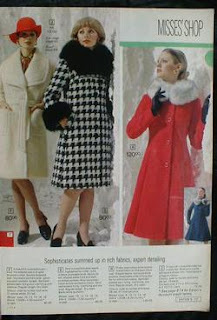 I am sure back then I thought they were quite glamorous!